My son turned 12 on April 12th. 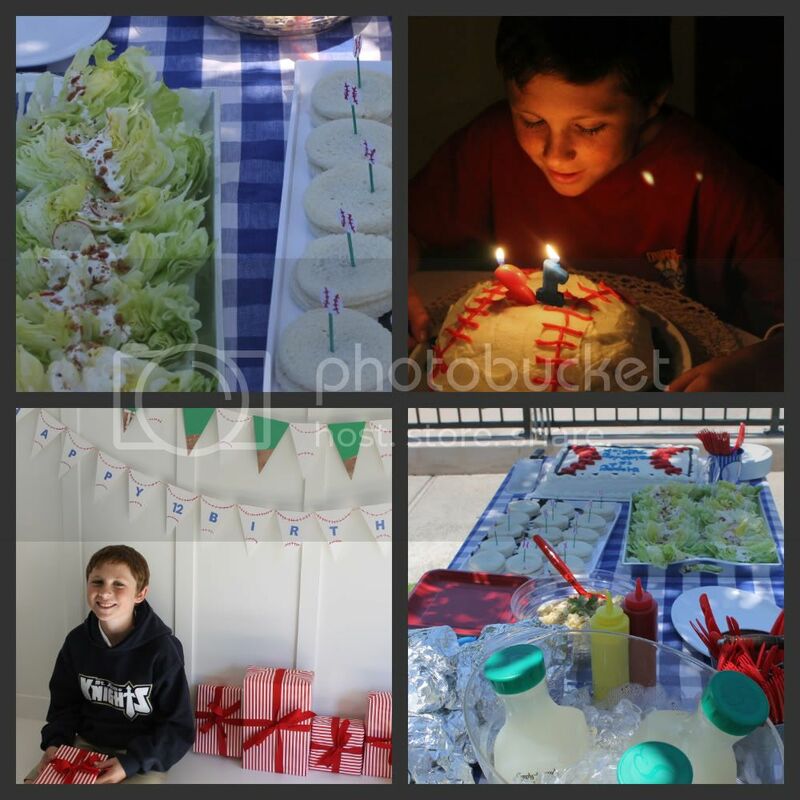 We celebrated on the day, but finally came up with a day over the Easter holiday to have his party. It was quite simple really with lunch, pool and football. We had about 25 kids who were absolutely wonderful, mostly boys, but a few adorable (and brave) girls. Patrick was born at the perfect time of year for someone who loves baseball. So every party theme centers around the all American theme. On the menu we had lemonade, hot dogs, chips, peanut butter and jelly sandwiches, macaroni salad and the wedge salad, which was by far the most popular item. Super cute! Sorry we had to miss it! happy birthday to courtney and patrick. i don't know how i missed courtney's post? it looks like it was a beautiful bday party. i remember lots ofpool parties for 20 or 30 boys - such fun! Happy Belated "give" birthday ;) I always wish my mom a happy give-birthday on my birthday and give her a gift. She thought I was crazy the first year I came up with it, but it's really a special day for her as well as me. So that's why I wish you the same! What a great mom you are, the food looks yummy! What a fun party! YOU are a brave woman with all of those boys! But you do it so well - what a lucky boy you have! Happy belated birthday to Patrick! I love the all American theme! Everything looks fabulous!